We know a lot about smart wearable devices that can help track your fitness, but what about your health? 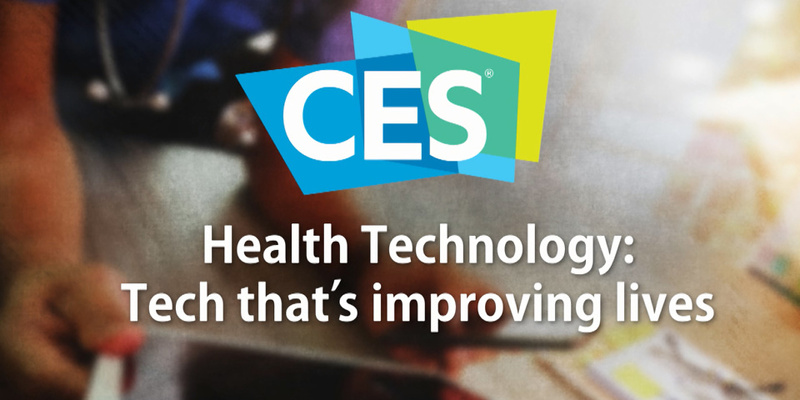 One of the big trends at CES 2018 is connected health products that could help with the monitoring, diagnosis and management of a wide range of conditions. There’s been a lot of noise around digital therapeutics, which are connected products designed to complement medical treatment and make managing illness easier. Las Vegas is playing host to a flock of health innovators, and here we take a look at some of the most interesting products we’ve seen. Health and personal care – head to our hub to see reviews of blood-pressure monitors, bathroom scales, and wearables. Omron is a market leader when it comes to blood-pressure monitors. We first tested an Omron blood-pressure monitor in 2013, and have seen some impressive models pass through our lab. The latest products in the range unite a wealth of blood-pressure knowledge with smart new ways of monitoring and analysing your readings. 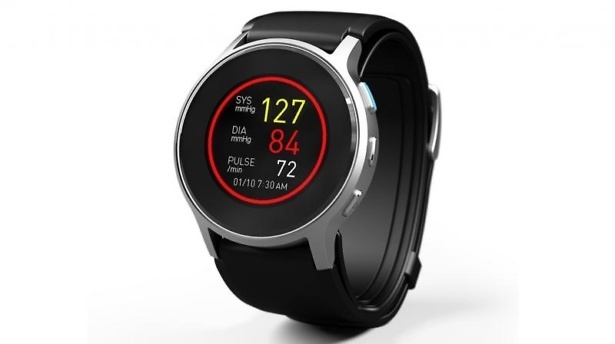 The Omron HeartGuide is a smartwatch that monitors blood pressure. The wristband functions much like a traditional blood-pressure monitor cuff, and will inflate when taking a reading. The watch takes manual readings and spot heart-rate measurements. It can also take night readings to build a complete picture of your blood pressure and to test for hypertension as well as risk of stroke while sleeping. It has the usual features we’d expect from a fitness tracker too, including step and sleep tracking and some smart features. It’s rechargeable and, according to Omron, the watch will last between 10 days and two weeks per charge. We don’t have an exact launch date yet, and it’s still undergoing clinical testing for approval of health authorities in the US, but we know that the target price is $349. This may look like a traditional Omron monitor, but it also includes EKG heart-rate monitoring technology from AliveCor – the company behind the EKG monitoring KardiBand for the Apple Watch 3. Both the Omron HeartGuide and Blood Pressure Monitor + EKG are designed to sync with the Omron Connect app, meaning your data is stored in one place. 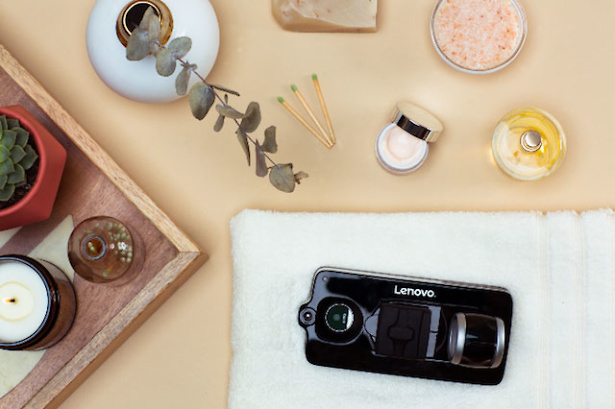 The Lenovo Vital Moto Mod is a snap-on extension for the Moto Z smartphone that clips onto your mobile and measures your vital signs. It comes with an infrared temperature sensor, a finger clip for measuring oxygen and an inflatable finger cuff. These three features combine to test your heart rate, respiratory rate, body temperature and blood pressure. It will be available in April for around £290. Given that we’ve found a Best Buy activity tracker for under £100 and Best Buy blood-pressure monitors for less than £30, this seems like quite an investment. Find out what a cheap tracker can do by seeing our pick of the best cheap fitness trackers, or head over to our blood-pressure monitor reviews. Clipsulin is a clip-on that turns an insulin pen into a ‘smart’ device, designed to help diabetics keep track of their insulin dosing. 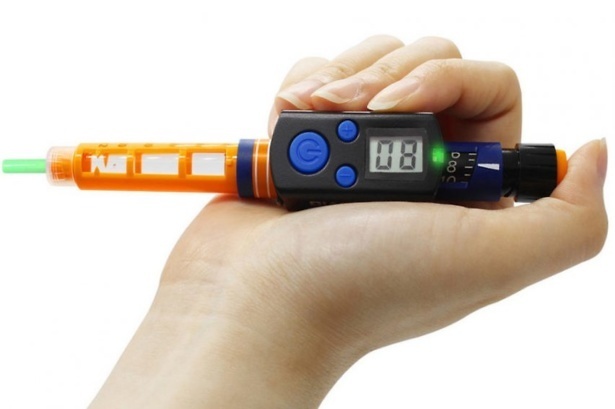 It records the dose and time of the injection, and syncs with the connected Diabnext mobile app. Tanita was on the show floor displaying a selection of its scales and body-composition monitors, including a device that will tell you how much you weigh, the percentage of water in your body and how strong your core is. 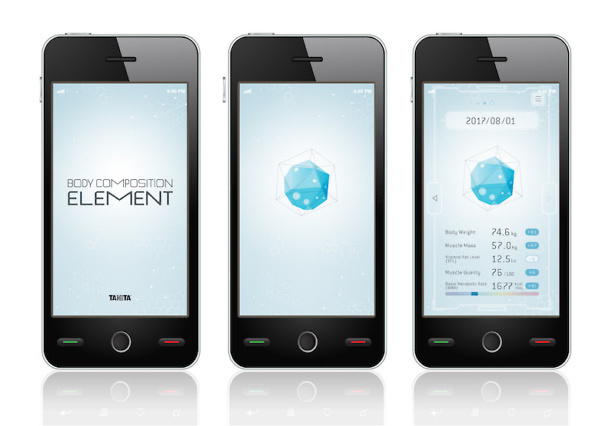 It also introduced its newly developed smartphone app, Tanita Body Composition Element. It displays your body’s composition of muscle and body fat, and your metabolic rate, using three-dimensional graphics. Could a Tanita scale help you monitor your body composition? Head over to our Tanita bathroom scale reviews to find out. Could connected tech help you rest easy? We know that a good night’s sleep is important for health and wellness. You might already keep track of your slumber using your activity tracker or smartwatch, but the information provided can be a little limited. The next generation of sleep tech is designed to not only track your sleep but to help improve it, too. It’s not a wearable, but we felt it was worth including here. 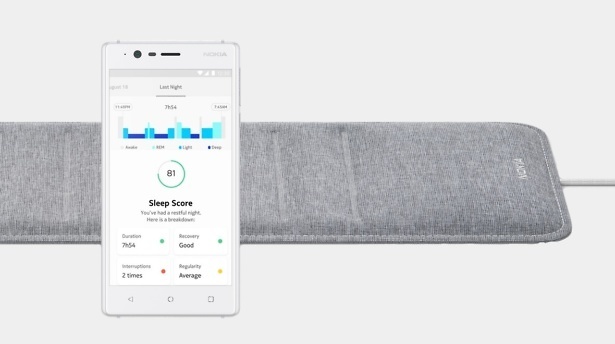 The Nokia Sleep is a wi-fi-enabled pad that is placed under your mattress, which syncs with the Nokia Health Mate app to provide you with analysis on your sleep cycle, including duration, interruptions and different sleep phases. It even monitors snoring and tells you at what point during the night you were snoring – if no one has elbowed you in the ribs before then. All jokes aside though, analysis of snoring can be a useful tool to diagnose a range of conditions, including sleep apnoea. Each morning you’ll get a sleep score, information on your sleeping patterns and ways to ensure you’re getting the right amount of rest each night. While some smartwatches and activity trackers do monitor your sleep, none offer such thorough analysis. It’s expected to be released in the first quarter of this year, and will cost $99. Philips is well established in the health market, with products such as the Philips HealthWatch and the Philips DL8765 blood-pressure monitor already making up its range. Their next target is your sleep, with the Philips SmartSleep tracker. 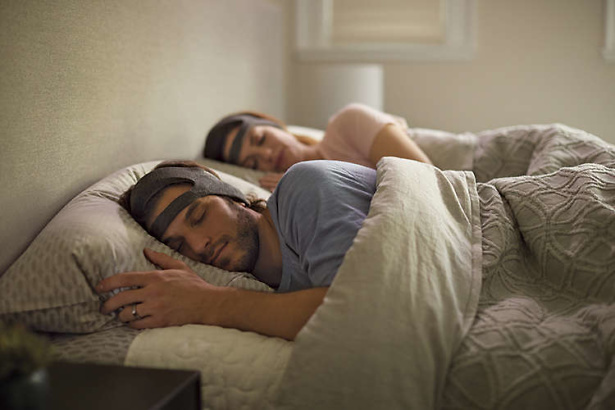 It’s a headset that you wear to bed, and it uses two small sensors to detect your phases of deep sleep. Philips claims the SmartSleep tracker won’t just monitor your sleep, but will use some form of disruption to help improve and extend deep sleep phases, although there’s no information on what this means. It’s a pretty bulky monitor, so there’s a definite chance the device itself would do a good job of disrupting your sleep full regardless. It comes at a cost too, with a suggested retail price of $400. While this isn’t available in the UK, we thought the 360 smart bed was too intriguing not to cover. This smart connected bed adjusts automatically based on your movement, and can be programmed to provide more support in certain areas. If you have a bad back, for example, it could provide extra support without you even lifting a finger. Lights underneath the bed frame will turn on if you get up in the middle of the night, and it can link up with your other apps, such as Fitbit or Nest. In a press release issued by Sleep Number, it hinted that the role of the smart bed could soon go even further. Shelly Ibach, Sleep Number president and CEO, said that in the future the biometric trackers in the bed could be used to detect sleep apnoea and even provide heart attack warnings – so you really will be able to rest easy.